Boku has decided to expand its agreements with Vodafone, 02 and EE which will enable the company’s deposit functionality for Casino.com and Mansion Casino’s mobile users on these networks. This means that Mansion’s customers can now make deposits to their mobile accounts with only one click. This casino is the latest company to embrace carrier billing after Gaming Realms, PokerStars, Boylesports, and Probability. The customer will no longer have to fill all of the annoying fields for bank and credit card details to make a deposit. They will only have to select the “pay by mobile” button, and the charges will be directly applied to their mobile bill. The customers will also be able to set this as their default method for deposits. The Head of Product at Mansion, Nikki Carter stated that they did everything in their power to make the mobile user experience as simple and intuitive as possible. This, of course, includes the user’s initial deposit, and their new partnership with Boku enables the newly signed clients to make this with only a single click, and it cannot be simpler and quicker than that. 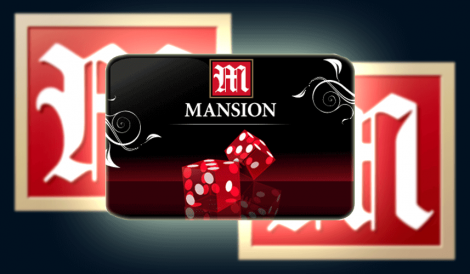 Therefore, the players are offered a simple payment method for both Mansion and Casino.com mobile accounts, and within the apps they offer. Vodafone, O2 and EE have accounts for over 60 million United Kingdom subscribers. The gambling in the UK is currently approximately a £12 billion market, with 30% of which are being transacted through mobile and online games.